Whether you call them braces or suspenders, there’s no arguing that these Formal Concord silk braces from Trafalgar are a real class act. 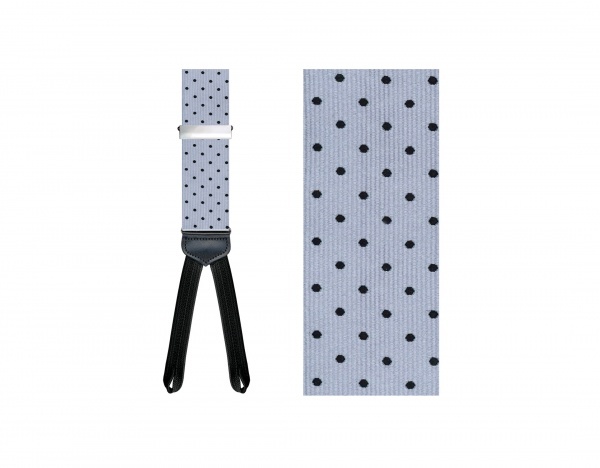 A fine powder blue with black dots throughout, these button-on braces are a great addition to any suit. Made in America, and available online now. This entry was posted in Accessories and tagged Formal Concord. Bookmark the permalink.